The extreme cold weather in the United States Midwest has frozen rivers and turned ordinary objects into “ice sculptures”. In Wilmington, Illinois, locals were keeping a close eye on the Kankakee River amid concerns over the potential for flooding as a result of warmer temperatures expected during the weekend. According to weather forecasts, more than 95% of Lake Michigan had iced up by Friday. 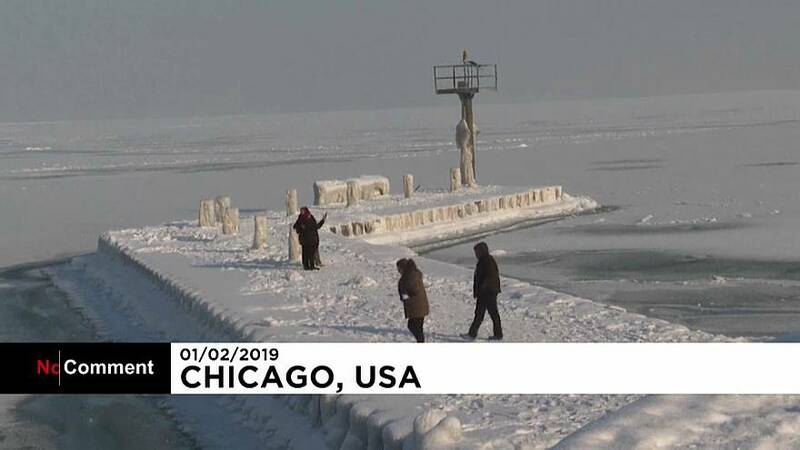 But while creating an impressive spectacle, the extreme cold also posed major risks, with reports of fatalities because of frostbite.